(Giménez Igualda, Miguel). 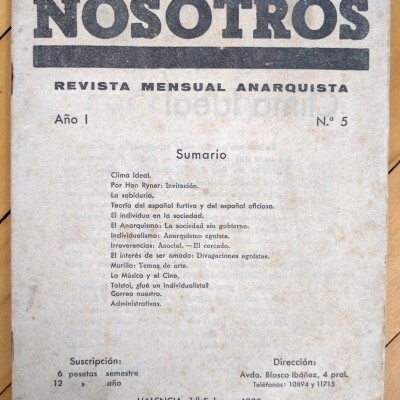 Nosotros: [Revista Mensual Anarquista]. Nos. 1 [Oct. 1937] and 5 (Feb. 1938). Valencia: Editorial Guerri, 1937-38. Two issues, 4to, each 48 pp. ; paper wrappers toned with spotting, no. 5 corner bent, affecting a few subsequent pages, minor interior foxing. 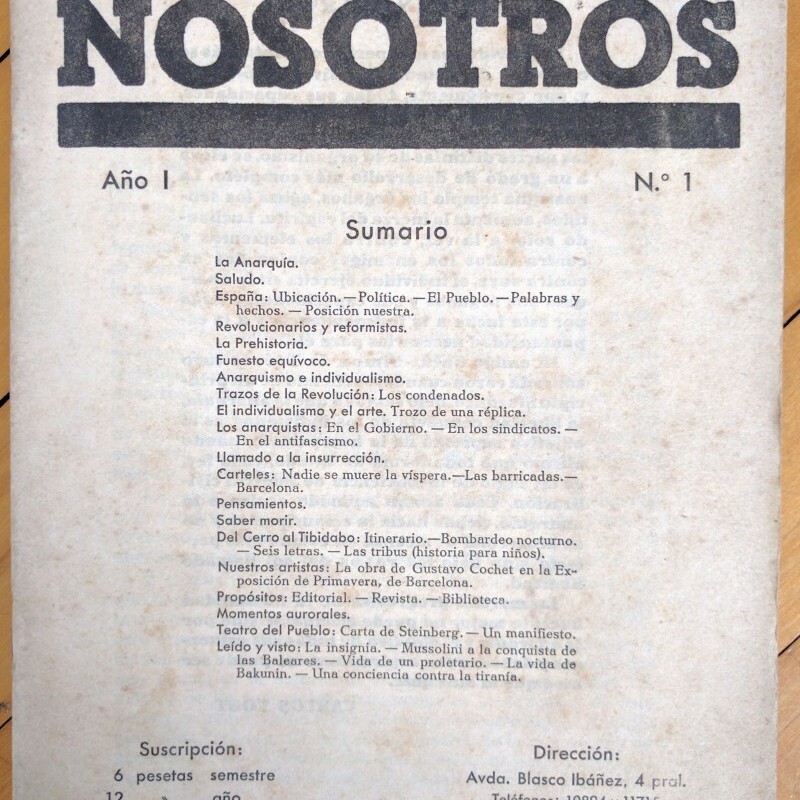 Two of five issues of the short-lived serial published by anarchist Miguel Giménez Igualda during a critical period in the Spanish Civil War. Most of its articles are attributed to one of Giménez’s pseudonyms or to French anarchists including Han Ryner; Giménez was also associated with the international Teatro del Pueblo movement (no. 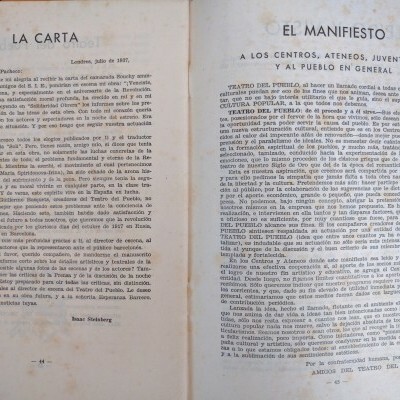 1 reprints materials related to Isaac Steinberg, [Rodolfo González] Pacheco, and the Teatro del Pueblo in Barcelona). Other content focuses on anarchist philosophy; arts; and antifascism. OCLC finds no physical holdings in North America.